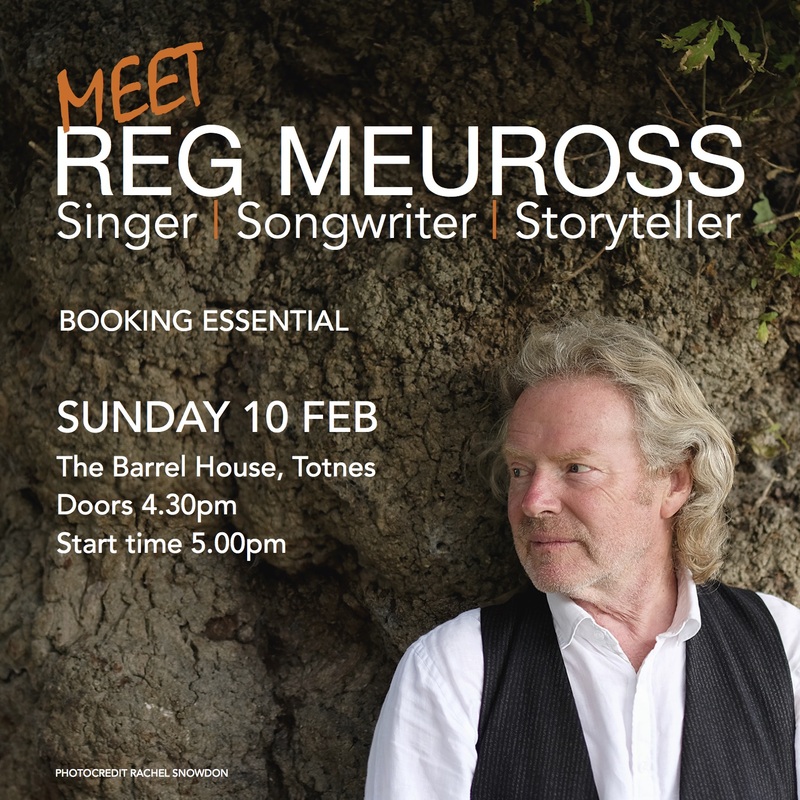 ‘Meet Reg Meuross’ Sunday 10th February at The Barrel House Totnes. 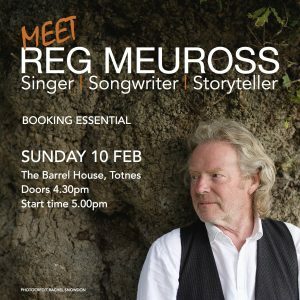 This is very special live filming of a Q&A with Reg Meuross, an intimate wander through the life and songs of one of the UK’s finest singer-songwriters. Reg will be interviewed on stage by musician and radio presenter John Elliott, and will include some songs as he talks us through his journey of 28 years as a solo singer-songwriter and musician.